Bromley Local Authority have outsourced their street cleaning to a third party. This is a large contract that needs constant audit to ensure that it is being continuously delivered. We built Bromley a Cleansing Inspection platform designed to help 11 street inspectors audit street cleaning in real time. Our platform builds and manages daily work queues pushing these out to mobile devices and displaying items to be inspected upon the map. We've integrated email alerting, work routing, geo-tagging of photos and real time dashboards into this platform. Our platform directly benefits the residents of Bromley ensuring that their streets are cleaned to standard and also delivers cost savings to the authority by ensuring a smooth well managed inspection process. In 2015 Bromley Local Authority won a Geoplace Exemplar award for the project using our service. We've enjoyed a very close working relationship with RBWM for over three years delivering consultancy and hosted services to help them reduce costs and bring elements of their IT back in house. 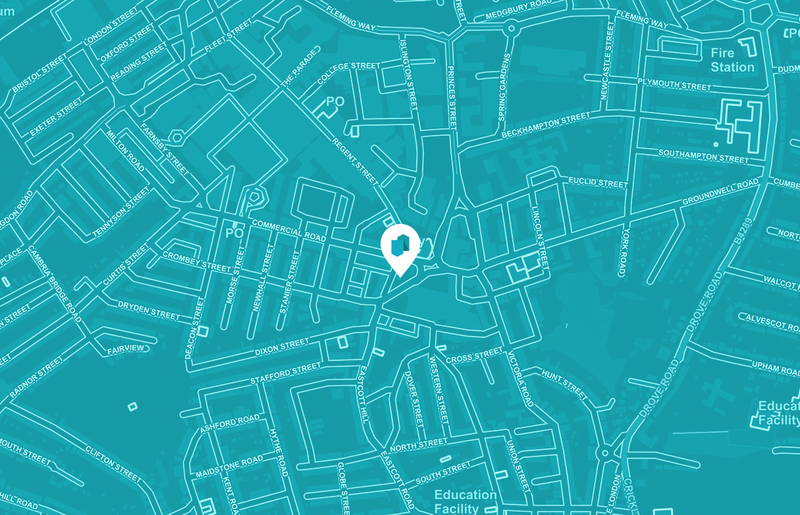 Our Geospatial alerting service allows RBWM to keep their residents informed as new planning applications or enforcement notices are published. We provide this as an API and helped RBWM integrate this within their own website. We've developed a number of other services with RBWM including LLPG search APIs and OS MasterMap web layers. RBWM have reduced their service costs significantly through working with us. We've shown them how to develop rich geospatial services in-house whilst hosting and supporting others. We enjoy an informal and open relationship with RBWM and are constantly working together on new ideas. The London Borough of Barnet were the trailblazing local authority for our public engagement service. Working with Barnet we developed a consultation portal designed to engage their residents with local issues. Via this portal we have gathered feedback on shared path modifications, new ideas for greenspace development and crowdsourced locations for car charging/cycle parking infrastructure. As a result Barnet have gained new insight into their development plans and used the data gathered from the public to feed into authority strategy such as "Clean Air" policy. Swindon Borough Council approached us to help them survey their residents and gather data to feed into their transport strategy. In particular they needed to understand residents attitudes to car parking reform and car charging point placement. This included an amount of location data gathering, such as "where do you park currently" or "where would you prefer we located charging points". We built Swindon a unique consultation workflow which cleverly melds digital maps with questionnaires to quickly gain information from the public. Swindon will gain new data from their public as a result of our consultations. Additionally our unique map based interface will better engage the residents of Swindon in their plans for transport reform. Reigate and Banstead were subject to a ward boundary review from the Boundary Commission. As a result they needed to consult with their members in order to reduce ward count and modify ward boundaries. This is a complex consultation as wards must have a balance voter population which takes into account planned development and birth/mortality rates. We developed a boundary change consultation portal for Reigate and Banstead, in five weeks! This allowed members to model boundary changes and see impact in real time. These models are then submitted to the electoral team for review. Members took to this system quickly with minimal support and as a result the review exercise was completed on time. Reigate and Banstead made significant cost savings and process improvements using our portal. Additionally the council has won two awards for the project, a Geoplace Exemplar award and a LARIA Research Impact award. Surrey Heath now have a high performing address search API and the knowledge to deploy this across many other services in-house. They have reduced reliance upon third party suppliers and increased their knowledge of PostgreSQL as a result. Housemark Ltd. wanted to create a new product for the Housing Sector offering location based benchmarking to their social housing customers. Between us we created a joint venture to build and launch Geolink, a service allowing landlords to import, geocode and benchmark their property portfolio upon a digital map. Geolink was designed and delivered in less than 5 months, it was launched to the sector in 2016 and has been operating over a wide range of landlords ever since. We're now working with Housemark on a next generation service due to be launched in 2018. Housemark Ltd. benefited significantly through our partnership, as we developed a virtual team dedicated to delivering towards a common cause. We became more than just a supplier to Housemark and jointly shared risk/reward. As a result Housemark saved significantly when compared to in-house/traditional development and their customers have benefited from constantly evolving and improving service. Ordnance Survey released a new Greenspace data set in 2017. All mapping datasets require continuous audit and improvement and an agreement exists between the OS and Local Authorities to manage this via a feedback tool. We won the tender for the development of such a tool and delivered it from specification to live service in under six weeks. The tool is simple to use but supports complex user feedback such as geometry changes and the addition of missing features. It maintains a continuous history of change and full audit trail throughout. Our fleet development approach and willingness to engage in a flexible manner allowed OS to meet hard deadlines for a fixed budget. We worked across functional teams and accommodated change throughout the project, including a prototype UI framework developed by OS. This allowed OS to make significant savings verses in-house development. 2016 saw the centenary anniversary of the Battle of Jutland. We were approached by the National Museum of the Royal Navy to develop an interactive map to show the impact of the battle upon the UK population. Within six weeks we'd imported the details of thousands of sailors, mapped ships, memorials and home ports and linked all of these together. Additionally, we created a crowdsourcing front end allowing the public and volunteers to add new detail to the map concerning their relatives or sailors they were researching. The map went live on time and since publication an additional 1700 sailors have been added to it. A volunteer community has been created around the map who actively curate and moderate the data added. Our map has created a new digital asset for NMRN and engaged the public in the true impact of the battle. As a result NRMN have new data surrounding the battle and a new model for engaging the public in naval history. Port Towns & Urban History Research Group at the University of Portsmouth focuses on the social and cultural contexts of ports across the globe from the early modern period. Using Portsmouth as a case study, the project wanted to explore the local liminal urban spaces by mapping out some key features of Portsmouth such as sailor residential areas, public houses, crime and sailor rests. We developed the Sailortown web app for the University. This allows them to add local history assets to the map and construct walks that guide the public around them. We designed the Sailortown theme for this app to make the site friendly and engaging. We also created a search front end allowing others to explore and discover the data added via simple keywords. Our web app provided Portsmouth with new and interesting insights that we are of interest to both academics and the general public alike. The challenge of sharing such information with two communities that have such differing needs has been met. We're now working with Portsmouth to widen the scope of Sailortown and create a uniquely rich and interactive map of Portsmouth's diverse history. The Greater London Authority asked us to create their London Activity Map which sought to connect London youth with activities and leisure pursuits in their local area. The delivery was fixed to a short, rigid deadline and encouraged us to engage our “adventurer protocol”. Working closely with the stakeholders in their communications team, we successfully delivered a service that both delivered to initial requirements and incorporated new ideas that were introduced as part of the ongoing design conversation. This was an important project for us as a team as it represented the first live deployment of our new 'Frameworks' development environment. The platform was designed as a highly flexible, component driven tool for rapid development and performed beyond expectations. As part of Small Charity Week, we teamed up with leading cancer charity Penny Brohn UK to develop an interactive journey around the gardens at its National Centre near Bristol. It was a great opportunity for us to invest in a worthwhile cause and ‘open source’ our time in a way that rewarded ourselves by benefitting others. The interactive garden map, believed to be the first of its kind in the charity sector, allows users to explore the beautiful gardens at the National Centre where they can follow four different journeys to discover information about the history of the garden and the plants and wildlife that live there. Users can also listen to an audio tour of the therapeutic journey around the grounds.